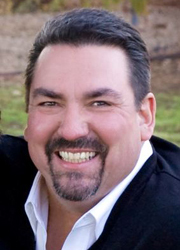 Tim Gregory is the owner of The National Sales Group as well as the Midwest Regional Sales Manager. Tim brings over thirty years of experience in the food industry to the NSG team. He worked as an account manager with the Keebler Company for thirteen years and an account manager for Campbell’s for three years prior to moving into the specialty food world. Tim served as Vice President of The Continental Group, a sales management organization, and from there became part owner and VP of Spruce Foods. In 2004 Tim chose a slightly different path and created his own company, The National Sales Group. This allowed Tim to get back to his passion of pioneering and managing brands. Tim resides in Henderson, Kentucky with his wife of 28 years, Martie, and their two boys, Jordan, 23, and Nick, 17. Tim enjoys boating, traveling, cooking and spending time with his family. Mark Noble is our Western Regional Sales Manager here at NSG. Mark comes to us with an extensive background in the specialty food arena as well as the housewares industry that has brought him through some of the top companies in the country. Most recently he was VP of Sales for the Western Division at SodaStream. Mark has experience as VP of Sales North America, Director of North American Sales, National Sales Manager and Regional Sales Manager. 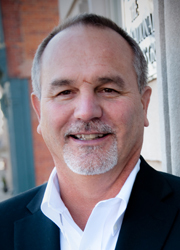 Marks’ knowledge and experience in the area of distribution, sales, marketing, representative (broker) management, networking, target marketing, strategic planning and forecasting of over twenty-five plus years has given him the opportunity to capitalize on clients all over the USA and Canada. Mark resides in Mesa, Arizona with his wife Melody of 27 years and has 4 children ages, 26, 24, 22, and 17 that keep him busy. He also enjoys golf, cooking, spending time with family and watching football.